With violins, cornetti, sackbuts, theorbos, keyboards and voices, EMV’s Christmas presentation this season recreates the lavish celebration of Christmas Vespers from the Church of San Marco in 17th-century Venice, with music by the incomparable Claudio Monteverdi! Featuring works from his 1641 collection of sacred music, the concert will resound with the glorious sounds of a Christmas celebration you won’t soon forget. Gloria in excelsis! To view/download the programme and the texts and translations for this concert, please click here. This wonderful description of Christmas vespers in 17th-century Venice comes from Francesco Sansovino’s Venetia, città nobilis et singolare, descritta in XIIII libri (“Venice, Singular and Noble City, described in 18 volumes”). Sansovino was an Italian editor, translator and publisher, and his encyclopedic portrait of his adopted city, published in the second half of the 17th century, is a useful source for descriptions of churches, works of art, personalities, famous events, and customs of the time. Claudio Monteverdi had come to work in Venice in 1612, after over twenty years of service for the Gonzaga family in Mantua, where he had been employed as a court musician (not, as is sometimes assumed, as a church musician). In fact, his famous 1610 publication of sacred music, which includes the beloved Vespers of 1610, was most likely assembled to display Monteverdi’s skill as a church composer at a time when, towards the end of his tenure with the Gonzagas, he became increasingly dissatisfied with his treatment and opportunities at the Mantuan court, and he began to seek a position with a leading ecclesiastical establishment elsewhere. He made tentative enquiries in Rome, but when, in 1612, the position of maestro di capella at San Marco in Venice came available, Monteverdi applied. In the report signaling his appointment to the position, the procurators of St. Mark’s commended him as “a most outstanding individual” and stated that they “are further confirmed in this opinion of his quality and virtue both by his works which are found in print and by those which today Their Most Illustrious Lordships have sought to hear”. In Monteverdi’s time, San Marco was not the cathedral of Venice, but rather the chapel of the doge, the ruler of the Venetian city-state. It had its own special liturgy that sometimes varied considerably from the Roman rite formalised by the Council of Trent (the Tridentine rite). Although in his new position, Monteverdi was required to compose a great deal of sacred music, it was not until 1640/41 that another large collection of his music appeared in print. This was the Selva morale e spirituale, which, like his 1610 publication, included music in a wide variety of styles, including music for the mass, psalm settings suitable for vespers services, and motets that could be used on many occasions. Interestingly, very few of the unusual items from the liturgy of San Marco were included. Monteverdi seems to have intended his publication for as many churches as possible, and was careful not to make the collection specific to his place of employment. It is from this collection that most of the music on tonight’s program is taken; we have constructed an order which follows the Tridentine rite for the First Vespers of Christmas, celebrated on Christmas Eve. Vespers is one of the eight daily services that together form the Divine Office, celebrated (in some churches and monastic orders since the sixth century) around the clock at intervals of roughly every three hours. As early as the Middle Ages, the vespers service assumed special significance among the Office hours, and it has long been a favourite for musical elaboration. The service consists of an opening verse and response; five psalms, each preceded and followed by an antiphon (a brief work of plainsong specific to the themes of the day); a short Bible reading; a hymn; another verse and response; the Magnificat, also preceded and followed by an antiphon; prayers, and a benediction. In a 1639 set of rules governing services in Venice, it was allowed that sacred motets could be sung between the psalms at vespers. Most likely, these motets acted as “antiphon replacements” by which an appropriate sacred motet could be substituted for the antiphon repeated after each psalm. We have followed this practice, and in our choice of motets have concentrated on celebratory texts, and texts relating to the two main figures of the Christmas Eve story, Mary and Jesus. All of the music on the program is by Monteverdi, except the opening respond, set by Alessandro Grandi, and the remarkable spiritual madrigal by Tarquinio Merula which is used as the antiphon substitute after Laudate dominum omnes gentes. Grandi was an important composer of church music and solo songs who acted as Monteverdi’s deputy at San Marco for a period. 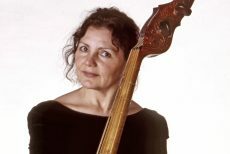 Merula , another contemporary of Monteverdi, also wrote many unusual solo songs, including the Canzonetta spirituale sopra la nanna (“Sacred song based on “La nanna”). A nanna is an Italian genre of lullaby sung to the infant Jesus; Merula’s piece is one of the first works by an accomplished composer to use the rocking figure associated with the lullabies, and sets a heart-rending text in which Mary already sees the tribulation her son will face in his life. The practice of antiphon substitution is a fascinating one because it creates such variety in the music of the vespers service. The age-old simplicity of the plainsong, followed by the spectacular grandeur of many of the psalm settings, followed by the intimacy of the motets makes for a remarkable panorama, especially in Monteverdi’s brilliant settings. David Fallis has been a member of the Toronto Consort since 1979 and its Artistic Director since 1990. He has led the ensemble in many critically-acclaimed programs, including The Praetorius Christmas Vespers, The Play of Daniel, all three of Monteverdi’s operas in concert, Cavalli’s La Calisto and Carissimi’s Jephte, among many others. He has directed the group in its many recordings and tours, and has conceived and scripted many of their most popular programs, such as The Marco Polo Project, The Queen, and The Real Man of La Mancha. 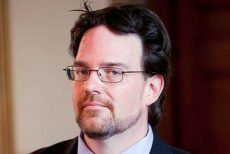 He is also one of Canada’s leading interpreters of operatic and choral/orchestral repertoire, especially from the Baroque and Classical periods. He is Music Director for Opera Atelier and has conducted major operatic works by Mozart, Monteverdi, Purcell and Handel in Toronto and on tour to Japan, Korea and Singapore. He has conducted for Houston Grand Opera, Cleveland Opera, Wolf Trap Theatre, Utah Opera, Orchestra London, Symphony Nova Scotia, the Windsor Symphony, Festival Vancouver, the Singapore Festival, the Seoul Arts Centre (Korea), the Elora Festival, the Guelph Spring Festival and the Elmer Iseler Singers. Currently he teaches in the Graduate Department at the Faculty of Music at the University of Toronto. Cappella Borealis was founded in 2015 as Vancouver’s own ensemble for early brass music. Consisting of Jeremy Berkman, Alex Fisher, Ellen Marple, and Nathan Wilkes, all performers of the early trombone (sackbut), Cappella Borealis explores a range of repertoire from the Renaissance and Baroque periods featuring early brass, often in combination with voices and other instruments. The ensemble has appeared with musica intima and in the Vancouver Bach Festival presented by Early Music Vancouver. Praised for her artistry and warm, clear tone, soprano ARWEN MYERS is quickly gaining a reputation as a captivating and sensitive interpreter of repertoire spanning from early to new music. A versatile artist equally comfortable in oratorio, chamber music, and on the recital stage, Ms. Myers has performed major works with Portland Baroque Orchestra, Early Music Vancouver, the American Bach Soloists Academy, Indianapolis Symphony Orchestra, Indianapolis Baroque Orchestra, and Sacred Music at Notre Dame - including the world premiere performance & recording of Robert Kyr's Paradiso (the role of Beatrice having been written for Ms. Myers by the composer) in 2016. 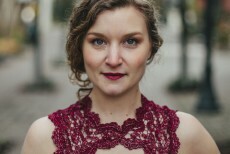 Upcoming engagements include world premieres by Zachary Wadsworth with Vancouver’s Chor Leoni, and Robert Kyr with Trinity Music & the Ensemble of Oregon; Handel’s Italian cantatas on Seattle’s Gallery Concert series; Monteverdi’s Christmas Vespers with Early Music Vancouver; and Bach’s Christmas Oratorio (full) and English songs & arias with Portland Baroque Orchestra. A native of Augusta, GA, Arwen holds degrees from the Indiana University Jacobs School of Music, and is currently Music Associate at Trinity Cathedral in Portland, serves as co-director of the Royal School of Church Music Pacific Northwest course, and is Executive & co-Artistic Director of Northwest Art Song in Portland, OR. Arwen is an active freelance artist across the United States and beyond. Past concert highlights include Monteverdi’s Vespers of 1610 with the Toronto Consort, Zelenka’s St. Cecilia Mass with Tafelmusik, Stanford’s Requiem with the Orpheus Choir, Bach’s Magnificat and Christmas Oratorio with the Toronto Bach Consort, and Handel’s Messiah with Symphony Nova Scotia, the Edmonton Symphony, and the Calgary Philharmonic Orchestra, Tafelmusik, Victoria Symphony, Handel’s Dixit Dominus with Tafelmusik, and the music of Jommelli with Les Idées Heureuses of Montreal. Recent and upcoming engagements include the role Nutrice in Monteverdi’s L’Incoronazione di Poppea with the Academy of Ancient Music in London, UK, the role of the Sorceress in Purcell’s Dido and Aeneas with Les Violons du Roy at Carnegie Hall, Messiah with Orchestra London, Dvorak’s Stabat Mater with Symphony New Brunswick, and A Spanish Christmas with The Toronto Consort. 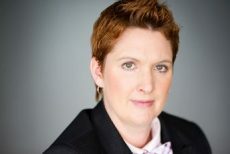 Vicki is a professor of voice at Mount Allison University, adjudicates music festivals and competitions, was Director of Music at the Cathedral Church of St. James in Toronto, taught voice at Wilfrid Laurier University, conducts an auditioned community choir in Fredericton, NB, was the music director for the New Hamburg Live! festival of the arts, was a lecturer at the Royal Conservatory of Music, has been an assistant conductor with Opera Atelier, and, is on faculty at COSI, a summer opera training program in Sulmona, Italy. She completed her doctoral studies in performance at the University of Toronto under the tutelage of Dr. Darryl Edwards. 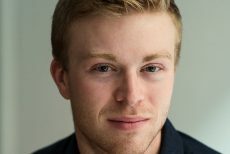 Vancouver-born countertenor Nicholas Burns has been described as possessing a “thrilling voice”, and past performances have been called a “revelation” (Opera Canada). Recent appearances include performances of Monteverdi’s 1610 Vespers with the American Bach Soloists, music by Henry Purcell at le Festival international de musique baroque de Lamèque, Handel’s Messiah with the Thunder Bay Symphony Orchestra and Bach’s St. John Passion, St. Matthew Passion, and B Minor Mass with Ensemble Caprice. On the opera stage Nicholas has performed roles such as Bertarido in Handel’s Rodelinda, Polinesso in Handel’s Ariodante, and Lichas in Handel’s Hercules. No stranger to singing major choral works one per part, Nicholas has performed numerous Bach cantatas one per part with both Les idées heureuses and le Bande Baroque Montréal including the solo cantata Gott soll allein mein Herze haben (BWV 169) and Bach’s fugal masterpiece Ein feste Burg (BWV 80). Later this season Nicholas will perform Bach’s St. Matthew Passion one voice per part with the American Bach Soloists in San Francisco as well as the music of Henry Purcell with Arion Baroque Orchestra. Nicholas appears regularly with le Studio de musique ancienne, with whom he has recorded an album of music by Lassus on ATMA Classique. Aside from singing, Nicholas is an accomplished bagpiper winning the World Pipe Band Championships in Glasgow in 2012. Kevin Skelton has a multifaceted career as a performer, director, choreographer, teacher, and scholar. Equally at home on the concert and operatic stage Kevin specializes in seventeenth-century music, the Bach Evangelist roles, and experimental music theatre. Kevin has performed with some of the world’s finest early music ensembles including Collegium Vocale Gent, L’Arpeggiata, and Concerto Palatino and in numerous theatres and festivals throughout the world including Teatro La Fenice, La Monnaie, Aix-en-Provence, Opéra Royal de Versailles, and the early music festivals in Boston and Utrecht. In recent years Kevin has begun a new initiative exploring the possibilities of integrating classical singing and contemporary dance. His unique facility combining voice and movement has been showcased in productions of the Netherlands Reisopera, Veenfabriek, Opera Atelier, Sasha Waltz & Guests, and the Dutch breakdance company ISH. Kevin has produced numerous videos and live performances under the auspices of his own company ātmā having performed at the Operadagen Rotterdam, Theater aan het Vrijthof in Maastricht, and Festival Les Nuits de Septembre (Festival de Wallonie). Kevin is currently exploring new performing practices applicable to the training, creation, direction, and performance of integrated music theatre. On the opera stage Kevin recently performed in Monteverdi’s Orfeo at the Bergen International Festival, The Play of Daniel with the Toronto Consort, Caldara’s Dafne at Teatro La Fenice, Purcell’s Fairy Queen at the Hokutopia International Music Festival in Japan, and Charpentier’s Medée with Opera Atelier in Toronto and Versailles. This season Kevin will perform in Monteverdi’s Il Ritorno d’Ulisse with Opera Atelier, and Charpentier’s La descente d’Orphée aux Enfers with Ensemble Desmarest in Poland, Austria, and France. Upcoming and recent concert appearances include the Budapest Festival Orchestra, Nieuwe Philharmonie Utrecht, Utrecht and Timisoara Early Music Festivals, Vancouver Early Music, the Toronto Consort, and several projects with BachPlus, Margaretha Consort, and the Nederlandse Bachvereniging in Belgium and the Netherlands. The recipient of numerous awards and scholarships, including grants from the Canada Council for the Arts and the Ontario Arts Council, Kevin has completed graduate programmes in voice, conducting, musicology, and choreography having studied at the University of Toronto, Indiana University, Oxford University, and the contemporary dance school PARTS. Paul Grindlay, Bass feels fortunate to have been blessed with a unique bass voice. He is indebted to the many amazing teachers, mentors, conductors and colleagues who have inspired and supported him on his musical journey, including his parents and grandparents, his wife, brothers and so many others. He has enjoyed a quarter century of professional performances with such groups as the Vienna Chamber Opera, Opera Atelier, Calgary Opera, Pacific Opera Victoria, American Bach Soloists, Carmel Bach Festival, Tafelmusik, Toronto Consort, Studio de Musique Ancienne de Montreal, Calgary Philharmonic Orchestra, VoiceScapes, Luminous Voices, Pro Coro Canada and many others. He has also recorded CDs for NAXOS Records, Toccata Classics and Marquis. In 2004 Paul was appointed Artistic Director of the Calgary Boys’ Choir. 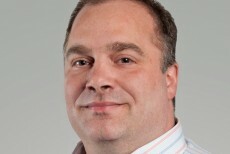 He also directs the choir at Knox Presbyterian Church and is on the vocal faculty at Mount Royal Conservatory of Music. In spare time he is most likely to be found fly fishing, hiking, biking, swimming, cooking or writing poetry. At age 9, Montreal bass Martin Auclair began his musical training with Les Petits Chanteurs du Mont-Royal. His passion for singing, always increasing, led him to studies at the Conservatoire de musique du Quebec à Montreal and the Université de Montréal. The rich and unique timbre of his voice has given him the chance to be hired as a soloist and chorister by several ensembles in the greater Montreal area. He has been a soloist with the Studio de Musique Ancienne de Montréal (SMAM), the Opéra de Montréal, the Orchestre symphonique de Montréal, the Opéra de Québec, the Ottawa Bach Choir and Early Music Vancouver. He also participated in several recordings as a soloist and backing vocalist with the SMAM and other Montreal ensemble. Nathan Whittaker, violoncello, enjoys a unique and diverse career as a concert soloist, chamber musician, recitalist, teacher, and historical cello specialist with concert stops ranging from Seattle to New York to Dubai. He is the Artistic Director of Gallery Concerts (Seattle), a concert series of chamber music on period instruments, and regularly performs with the Seattle Baroque Orchestra, Pacific Baroque Orchestra, Portland Baroque Orchestra, Rosa Barocca, Byron Schenkman and Friends, and the Pacific Northwest Ballet. Recent appearances include the Oregon Bach Festival, Indianapolis Early Music Festival, Vancouver Bach Festival, Pacific Baroque Festival, American Handel Festival, Pacific MusicWorks, 45th Parallel, Hawaii Performing Arts Festival, and the Berkeley Early Music Festival. An active pedagogue, he has served on the faculty of Cornish College of the Arts and runs a dynamic private studio. He can be heard on recordings by ATMA Musique, Harmonia, and Centaur, as well as live broadcasts by NPR, CBC, and KING FM. Dr. Whittaker holds a Doctorate of Musical Arts from the University of Washington and Bachelors and Masters degrees from Indiana University. He performs on a cello of Mario Gadda from 1957, and a baroque cello of Johann Christian Ficker II from c. 1770. Curtis Daily has focused on the historical performance practice of Baroque and classical music for more than 25 years. 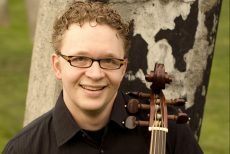 He is the principal bassist with Portland Baroque Orchestra and a member of Seattle Baroque Orchestra since its inception, as well as frequent appearances with Pacific Baroque Orchestra, and Oregon Bach Festival. Daily also performs on occasion with Musica Angelica, Orchester Wiener Akademie, Philharmonia Baroque Orchestra, and Tafelmusik Baroque Orchestra, working with many of the most distinguished artists in the early music field. In the realm of modern performance, Mr. Daily performs every summer at Chamber Music Northwest, where he collaborates with leading chamber musicians from around the world. Daily was a member of the Oregon Bach Festival orchestra for the Grammy-winning recording of Credo by Krzysztof Penderecki on Hannsler Records, and is also heard on recordings for Virgin Classics, Koch, Centaur, and Sub-Pop Records. He lives in Portland, Oregon. Alex Opsahl studied recorder with Peter Holtslag and Daniel Bruggen at the Royal Academy of Music, and cornetto with Bruce Dickey at the Schola Cantorum Basiliensis. While still a student, she received 1st Prize in the 2003 Moeck Solo Recorder competition, the 2001 and 2003 RAM Early Music Prize, and the 2003 Hilda Anderson Dean Award. Alex has performed with the Amsterdam Baroque Orchestra under Ton Koopman, the Orchestra of the Age of Enlightenment under Emmanuele Haim, Boston Early Music Festival, I Fagiolini, Capella Barocca di Mexico, Carmel Bach Festival, Piffaro, and the Green Mountain Project. She performed in Il Ritorno d’Ulisse at the Innsbrucker Festwochen der Altenmusik in 2017, and filmed L’Incoronazione di Poppea with both Oslo Opera and Glyndebourne Opera. She recorded Vivaldi’s Concerto in C Minor, RV 441, with the Norwegian period orchestra Barokkanerne, and recently recorded the JD Berlin cornetto concerto with the Norwegian Baroque Orchestra. Upcoming engagements include performances with Tenet NYC, Vancouver Early Music, and Portland Baroque Orchestra. Alex is a founding member of both Tesserae and Dark Horse Consort. 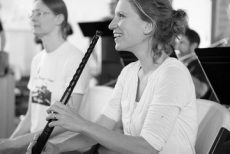 Kiri Tollaksen (cornetto) enjoys a varied career as a performer and teacher. Praised for her "stunning technique, and extreme musicality," (Journal of the International Trumpet Guild), and called an “excellent cornetto player” (New York Times), Kiri has performed extensively throughout North America and Europe with such groups as Concerto Palatino, La Fenice, Toronto Consort, Tenet, Piffaro, Pacific MusicWorks, Tesserae, Apollo’s Fire, and is a member of the highly regarded early brass ensemble Dark Horse Consort. 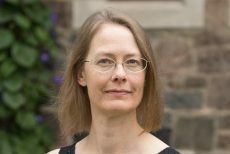 With degrees from Eastman, Yale and University of Michigan, Kiri has been on the faculty of Indiana University (Bloomington), Brass Antiqua (VA), and the Amherst and Madison Early Music Festivals. She happily lives in Ann Arbor, Michigan with her husband Ron and 2 cats. For upcoming concerts, please visit http://www.KiriTollaksen.com. Dr. Konstantin Bozhinov, PhD, is a multi-instrumentalist, improviser and educator. A sought-after recording artist and collaborator, Kosta has recorded soundtracks for movies and best-selling video games on the guitar, lute, accordion, and organ. He has appeared with the symphony orchestras of Vancouver, Victoria, Edmonton, Pacific Opera Victoria, the Pacific Baroque Orchestra, and the Sydney Classical Orchestra. An active and published researcher on the effects of economic policy on the performing arts, Kosta also writes on the philosophy of aesthetics, the psychology of creativity, and the role of improvisation in music education. 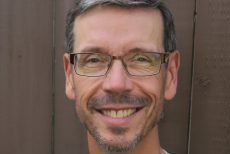 He has taught history and performance practice at the University of Victoria, Vancouver Community College, and Mount Royal University. Dr. Bozhinov is an organist and choir director in West Vancouver and teaches music for Vancouver Independent Schools. 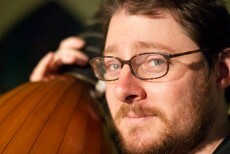 John Lenti, whose playing on theorbo, baroque guitar, and lutes has been described as “a joy to behold” (Seattle Times) and praised for its “nuanced beauty and character” (Gramophone), regularly deploys his “uncommonly big sound” (Third Coast Digest) to considerable acclaim as a soloist and accompanist with groups like Apollo’s Fire, Haymarket Opera Company, Portland Baroque Orchestra, Opera Omnia, Seattle Baroque, the Seattle Symphony, the Los Angeles Philharmonic, and Seraphic Fire, among many others. He tours regularly with his ensembles Wayward Sisters and Ostraka, and from his base in Seattle, he appears frequently with most groups of note on the West Coast. He can be heard on a handful of recordings on various labels with several of the aforementioned groups, and on a recent release with Dominique Labelle and Musica Pacifica. John attended the North Carolina School of the Arts and Indiana University and he studied lute with Jacob Heringman and Elizabeth Kenny, and Nigel North. 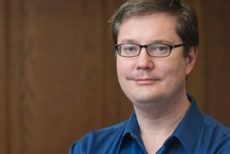 Alex Fisher was appointed to the UBC faculty in 2002, and holds degrees from Northwestern University (BMus 1992), Indiana University (MMus 1995), and Harvard University (PhD 2001). His interests include German music of the sixteenth and seventeenth centuries, ritual contexts for sacred music in the early modern era, sound studies, and aspects of music, soundscape, and religious identity in the Reformation and Counter-Reformation.His work, which ranges from sixteenth-century studies to the present day, has been published in the Journal of Musicology, the Journal of the Royal Musical Association, and elsewhere, and he has presented research at conferences of the American Musicological Society, Society for Seventeenth-Century Music, American Historical Association, Renaissance Society of America, and other organizations. His books include Music and Religious Identity in Counter-Reformation Augsburg, 1580-1630, which appeared from Ashgate Press in 2004, and Music, Piety, and Propaganda: The Soundscapes of Counter-Reformation Bavaria, 1550-1650, which appeared from Oxford University Press in 2014. A specialist in early wind instruments, he has performed in various early music ensembles and coordinates the UBC Early Music Ensemble. Tenor Sackbut player Jeremy Berkman was first inspired to learn the trombone through listening to recordings of Gabrielli Canzoni every holiday season growing up. Despite also spending time when young learning to play alto recorder, it is more modern music that overtook his education and led him to complete degrees in music at Oberlin Conservatory and the Juilliard School. He currently holds leading positions with Vancouver Opera’s Orchestra, A Touch of Brass Quintet, the Jill Townsend Big Band, cellist Peggy Lee’s sexet (The Peggy Lee Band) and Turning Point Ensemble, where he also serves as Director of Education and Community Engagement. Honoured with Vancouver’s Mayor’s Award for music in 2011, Jeremy has found in Vancouver a community of entrepreneurial, creative, and talented colleagues with whom he has joined to participate and in some cases produce numerous incredibly inspiring musical and interdisciplinary efforts. He is very thrilled to be invited by Jacob Gramit to participate in this Lutheran Vespers for Troubled Times production, and find in its music-making the circles of life and truth. Ellen Marple is active in the Vancouver, British Columbia music scene both as a freelance low brass musician and an educator. In May of 2010 she completed a Masterʼs Degree in Trombone from the University of British Columbia which had a split focus on contemporary trombone music, under the direction of Jeremy Berkman and early music under the direction of Ray Nurse. Performing regularly in a wide variety of musical styles, Ellenʼs freelance career includes early music, chamber, orchestral, latin, jazz, reggae, hip hop and indie rock. Placing importance on fundamental brass skills, she encourages her students to work across genres and explore different musical styles. Performances and recordings of note are with: the Vancouver Symphony Orchestra, the Salsa Dura Ensemble led by Sal Ferreras, the Fred Stride Jazz Orchestra, Dan Mangan, The Salteens, Parlour Steps, C.R. Avery, Pendomoja, Vancouver Island Symphony, University of North Texas Wind Ensemble and the 2008 Festival of Ideas period performance of Monteverdiʼs Orfeo, directed by Ellen Hargis. 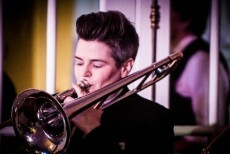 Nathan Wilkes studied bass trombone at Oberlin Conservatory with Per Brevig and Ray Premru, and completed doctoral studies at UBC, where he studied with Doug Sparkes. 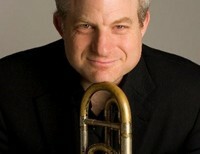 He has also studied early music performance (sackbut) with Bruce Dickey. He enjoys playing medieval, renaissance, and baroque wind instruments, and is a member of Chanterie Medieval Vocal Ensemble.